DramaQueerz: I'm om sick leave. Ronny Roslöf as Lari Väänänen and Pete Lattu as Kalle Laitela. Due to heartbreak. This was the worst thing ever. My heart bleeds. Salatut Elämät, I don't like you right now. And Kristiina Pohjonen is the devil itself. 'Nough said. I just got caught up on this storyline and my god this made me so sad. 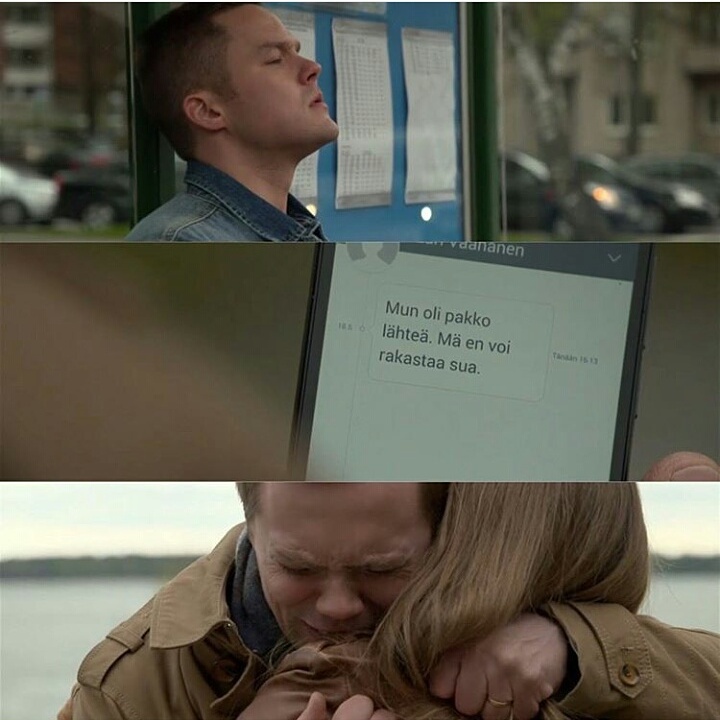 even though i ship both, but seeing kalle and Lari end like that broke my heart. I hate the mom so much. I know! It's awful! Kristiina is really evil! Hit the Floor will be back!